In 1999, Cass County ranked 15th highest in the state for all traffic crashes, 15th for fatal and personal injury crashes, 14th for speed-related crashes, and 19th for alcohol-related crashes. Cass County is primarily a rural community greatly affected by commuter traffic traveling to and from the Kansas City metro area. The majority of the local law enforcement agencies lack the manpower and overtime funds to provide a network of traffic enforcement efforts to reduce traffic crashes involving speed and alcohol and to promote occupant restraint usage. Dedicate one week per month for a ten-month period to the enforcement of hazardous moving violations. 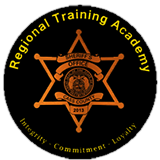 Perform two occupant restraint checkpoints in order to heighten usage awareness. Conduct a minimum of two multi-jurisdictional sobriety checkpoints. Conduct educational programs concerning the effects of alcohol and driving. Monthly meetings conducted by representatives of participating agencies. At each meeting, representatives established strategies for the enforcement efforts. The third week of the month was the normal time period for the county-wide enforcement effort. The coalition conducted three multi-jurisdictional sobriety checkpoints during the project year. Approximately 1,440 vehicles were checked resulting in six Driving While Intoxicated (DWI) arrests. The S.T.E.P. coalition sent ten officers from the various agencies to Child Safety Seat Technician training in May 2001.These officers will begin performing car seat check-up events in cooperation with local safety advocates. 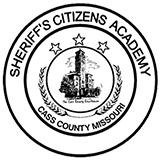 The following agencies participated in the coalition during the project year: Archie, Belton, Garden City, Harrisonville, Lake Winnebago, Peculiar, Pleasant Hill, and Raymore Police Departments, and the Cass County Sheriff's Office. News media coverage resulted from the various activities performed by this coalition. 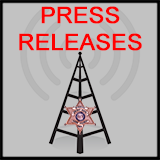 Printed media, radio, and television stories were publicized for public awareness prior to enforcement events as well as documentation of the events, such as Sobriety Checkpoints. The enforcement efforts for hazardous moving violations resulted in 32 arrests for DWI, 330 speeding arrests, and 314 other traffic arrests. 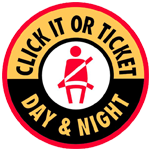 The coalition performed a seat belt safety educational project at seven local high schools within the county in May, 2000, prior to school graduation. This coalition has been in effect since 1999 and has had positive results countywide. The fatal crash rate decreased from 1.8percent (1988) to 1.4 percent (2000).The injury crash rate has also dropped from 72.9 (1998) percent to 68.6 percent (2000).